Brad Stevens is still the best thing about the Boston Celtics. Brad Stevens is a wunderkind, the rare basketball-coaching genius who's yet to celebrate his 40th birthday. 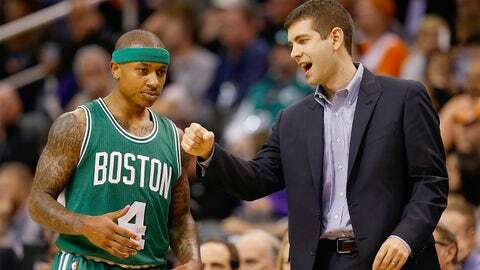 Now entering his third season with the Boston Celtics, Stevens is the single biggest reason why some people around the team and league are so optimistic about their projected win total. Stevens eats and sleeps basketball, but he doesn't allow emotions to get the best of him. He's patient and understands that an 82-game season means his team not only needs to outwork their opponents for 3,936 minutes, but also get after it in practice and grow as individuals. Boston won't win the championship this season, but with Stevens at the helm it feels only like a matter of time before they do.